Core Brands wants to help you increase your bottom line and grow your business. Please join us at CEDIA 2017 to learn about our exciting new programs and over 80 new products! Attend one of our free training sessions, and visit Core Brands Booth #4829 at the CEDIA Expo. Get your badge scanned and enter to win daily prizes, plus our Grand Prize! Use Code CoreBrands17E for Free Registration. ELAN Flagship Dealer Program: Come find out how you can increase revenue while improving overall system integrity with ELAN and Core Brands. ELAN New Home Program: Learn about how this exciting new program offers significant growth opportunities by providing control and entertainment solutions to custom and production home builders. Dealer Rewards - The Best in the Industry: Our program makes it easy to earn rebates and aggregate your purchases for maximum profit. At the end of the presentation, you will be escorted to enter our connected home and learn more about the dealer programs listed above. Alternatively, you can jump right into the over 80 new product in these major categories: Control, Audio, Video, Power, and Connectivity. ELAN: Experience the latest ELAN solutions including HDMI Switchers, Video over IP, Surveillance, Thermostats, Remotes, and our award-winning ELAN 8 software. The complete display of solutions being presented at the show offer auto detect beacons, simple configuration, and fast installs. 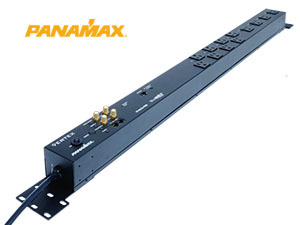 Panamax BlueBOLT: Electronics plugged into a BlueBOLT-enabled device can easily be rebooted with the click of a button through BlueBOLT's easy to use, cloud-based user interface, from any web-enabled device, from anywhere in the world. Be the first to see the new BlueBOLT-CV2 remote power management IP control card in action, and discover what it means to your business. Furman: Furman has provided advanced power management solutions for audio, video, and broadcast professionals for over 40 years. Hear about the new Furman Elite-15χc with enhanced protection, superior noise reduction, and more. 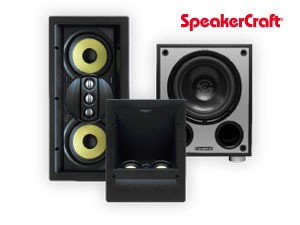 SpeakerCraft: Discover how SpeakerCraft continues to ignite your passion for music and sound throughout the connected home. We have a number of new products in development, including a few being revealed at this year's show. 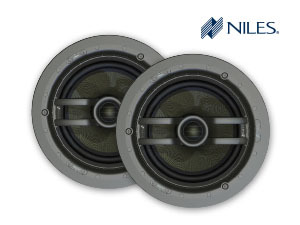 Niles: Audio is an essential component in the Core Brands connected home experience. We will be using to CEDIA 2017 to unveil the first of many new product offerings from Niles as we continue our commitment to developing truly exceptional entertainment solutions for you and your customers. Xantech: True 4K content requires the best components and cabling. 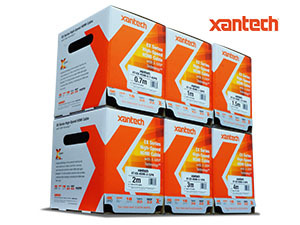 Our new Xantech EX Series Cables are built to exceed the needs of today's content with high quality construction that integrators can rely on. Come see how these new HDMI and TosLink cables will keep your customers happy while saving you time and money. Plus, discover what else is coming soon. Three Winners Every Day at 3p.m. Scan your badge at reception to enter our daily drawing where we give away 3 valuable prizes each day at 3pm. Attendees must be present to win. When you scan your badge at reception, you’ll also be entered to win a 16-piece, Dolby Atmos® enabled, SpeakerCraft home theater sound system, with a retail value of $9,600. The Grand Prize winner will be notified by September 30, 2017. Enjoy The Enveloping Sound Experience of a SpeakerCraft Dolby Atmos System, featuring the award-winning ATX100, the world’s first Dolby Atmos Enabled in-wall height speaker. Its dual drivers and tweeter fire upward into an acoustically controlled wave guide to project the Dolby Atmos “height” audio off the ceiling and create the immersive effect. Proper delivery of the height audio is essential in producing the enveloping Dolby Atmos surround experience and the ATX100 accomplishes this like no other speaker on the market. Enter to win four (4) ATX100 (ATMOS in-wall) speakers, five (5) AIM2LCR55 (in-wall LCR) speakers, four(4) GRLATXAIM2 (grille combo), one (1) v12 (12") subwoofer, one (1) AV Receiver, and one (1) 55" 4K television. 3 Daily Prizes. 1 Grand Prize.